Weight and Size Limits. 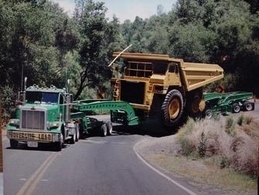 The State of California Cal Trans website has a great page with many links to answer most of the questions you may have regarding weight and size limits, oversize permits and many more subjects. Click the link below for this information.